Its already got to the stage where people are asking me what I would like for Christmas. I actually never need anything but of cause there are things I would like I'm a women after all. I personally think I'm super simple to buy for i love nail polish and Yankee candles. Over the years I have got some amazing presents my beautiful Thomas Sabo necklace has been a firm favourite, but my best Christmas present ever was back 2011 when I got a phone call from the Curry's gadget show competition to say I had won £10,000 worth of gadgets. The phone call was on a cold Sunday morning and I was utterly speechless after I put the phone down I was actually sick with shock. Our TV and kettle had broke that week, so you can imagine our delight. My worse Christmas present has got to be a cheap tiny diary, I can't stand them as I never use them. I have a bigger diary which is personalized so I add all my appointments there, they would never fit in a mini diary. They are always things that catch my eye so I've put together a little list. I'm a massive fab of perfume and I have loads of bottles on the go. I am loving the editions that are coming out which are rose scented. Emporio Armani Diamonds Rose Eau de Toilette 50ml Gift Set. DIAMONDS ROSE opens with a sparkling freshness where the bergamot mingles with the juicy tones of raspberry and blackcurrant. A heart of seductive rose is revealed with a new version of the Bulgarian rose more exacerbated, luminous, delicate and vibrating. The crunchy tones of lily of the valley and the fruity facets of the freesia, highlight the radiant beauty of this irresistible and exceptional rose. The fragrance finally unveils a delicate addiction of amber notes, enveloping and warm, mingled with the woody sensuality of patchouli. The ambrette seed adds a salty, musky sweetness which irresistibly merges with the skin. 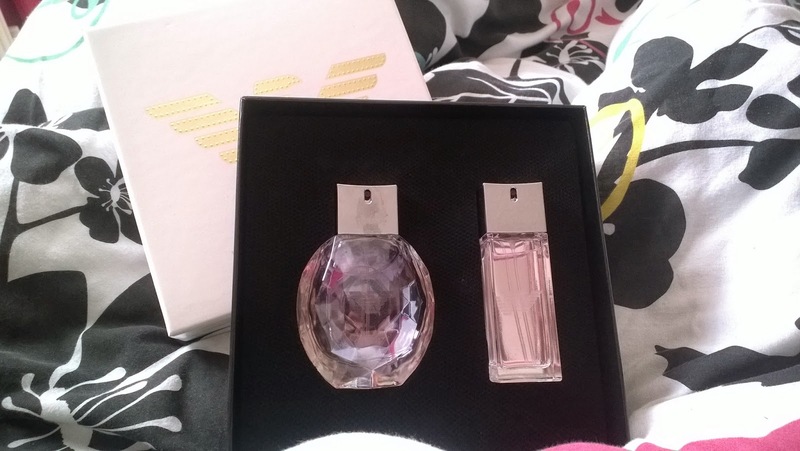 The smell is amazing and I loved the little 20ml bottle which is perfect as a handbag size. A slow cooker, I've wanted one for ages. 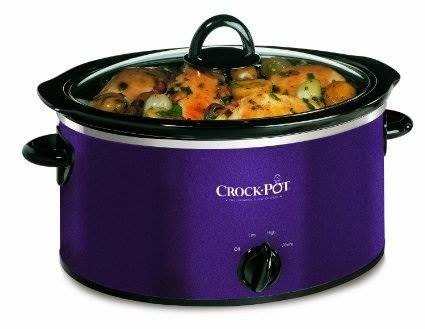 I'm intruglied to see what amazing meals I could make in one. I would like at least a 3.5l one so I could make the whole family a meal in one. I don't need anymore boots but I'm a huge fan of rocket-dog boots and these look fab! 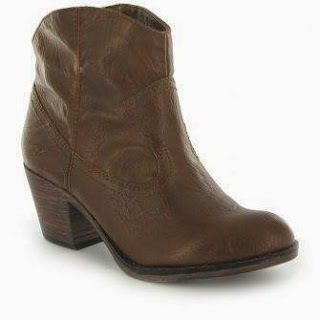 Soundoff style in a tan brown colour, perfect for the cold weather coming up. I love these face masks and use a couple every week so this would be the perfect gift for me. 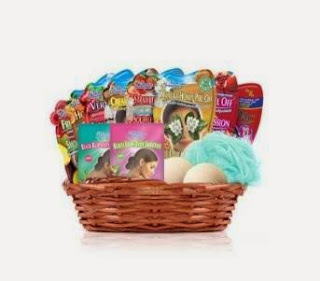 Included in the Wicker basket, pom pom bath salts, Dead Sea clay spa mud pack, passion fruit peel off mask, hot chocolate mask, fruit smoothie mask, Manuka honey peel off mask, creamy coconut mask, strawberry soufflé mask, very berry mask, Buriti sachet, raspberry scrub sachet and bath bombs. 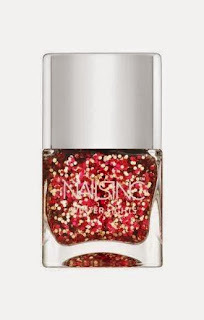 My wishlist wouldn't be complete without a nail inc polish would it. I love this new Christmas Winter lights royal avenue polish. 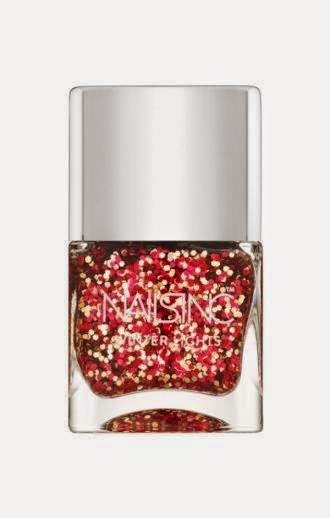 A limited edition blend of red and gold sequins that is sure to be a favourite for the party season. We recommend applying two coats over your favourite Nails inc polish for a Winter Lights effect.